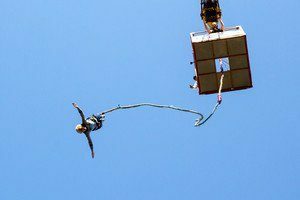 Go deep sea diving or bungee jumping? I love water so this is an easy one for me, deep sea dive. Our followers on Twitter and Facebook were split for a while but it seems that deep sea diving is now taking the lead. Have your say @pulse1077 on Twitter or Facebook and be in to win a $300 GC to Great Glasses 3-for-1!